New photos have surfaced that seem to indicate that the new generation of iPhones that will most probably be unveiled at Apple's September 9 event will come in a larger form factor. Although the new devices might sport a larger frame, the differences in size aren't that big: the new iPhone 6 should measure 7.08 mm instead of the current 6.9 in thickness, and the 6s Plus might come with a thickness of 7.3 mm instead of 7.1. 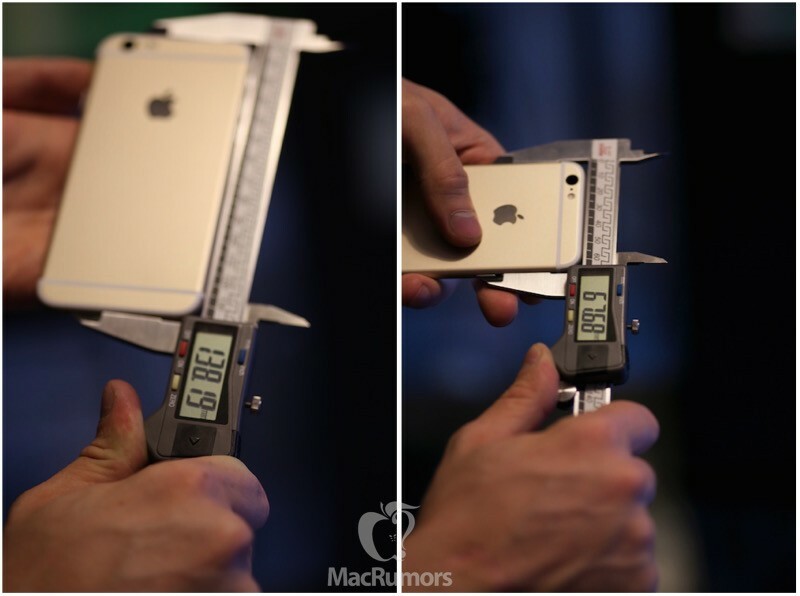 The 6s also appears to be just a little bit longer, with a length of 138.19 mm, the current length being 138.1 mm, while the increase in width is also hardly noticeable, going from 67 mm to 67.68 mm. All in all, although there are no details as to why the devices will get this size boost, word of mouth and previous rumors we reported about a week ago hint at the addition of a Force Touch sensor within these new devices' displays. One other possible reason for the probably enlargement of the new models could also be Apple's attempt to fix the well-known "bendgate" problem by toughening their shell and strengthening all the iPhone case weak points some users have come to hate soon after the 6 and 6 Plus release. To prevent the iPhone from bending, Apple could also use the new, 60% stronger than ordinary aluminum, Series 7000 alloy they're currently using in their Apple Watch Sport device. 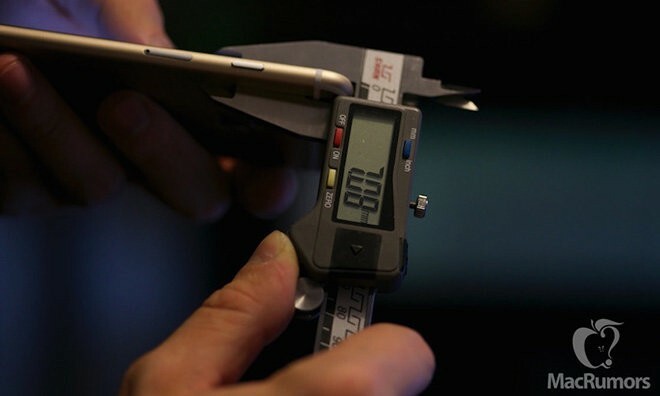 This type of material might also keep the new iPhones from getting heavier depending on the amount Apple uses to build the case, seeing that, although stronger, the Series 7000 alloy also has about one third the density of stainless steel. Although at the moment nothing is certain, the new leaked photos from MacRumors seem to indicate that most of the rumors in the past were pointing in the right direction, with new iPhones to sport increased sizes and, of course, the new technology additions or upgrades expected by everyone when Apple is releasing new products.